THE release in late 2018 of two reports – “The Family Matters Report 2018”, which concerns Aboriginal and Torres Strait Islander children in out-of-home care or in touch with the child protection system, and the Bureau of Statistics report “Prisoners in Australia 2018″– are a wake-up call for Canberra. “The Family Matters Report 2018”, which measures the trends in over-representation of Aboriginal children in out-of-home-care is as depressing as it is distressing. The report includes a jurisdiction-by-jurisdiction report card on the implementation of best practice in child protection as represented by the Aboriginal Child Placement Principles and the four building blocks of the Family Matters Roadmap. “The Family Matters Report” is a collaborative effort of SNAICC-National Voice for our Children, the University of Melbourne and Griffith University. In other words, it is rigorous and credible. In summary, the report reveals (and not for the first time) that the ACT is among the worst-performing jurisdictions in Australia and, on a number of specific and major measures, the worst-performing jurisdiction in Australia when it comes to the care of Aboriginal children in contact with the child-protection system. In relation to the Aboriginal Child Placement Principles, recognised nationally as of fundamental importance to the management and care of Aboriginal children in out-of-home care, the ACT is identified as the only jurisdiction in Australia that has refused to include in its child-protection legislation any of the recognised elements of self-determination or a human-rights-based framework for participation in child protection decision making such as consulting Aboriginal community controlled organisations and involving them in decisions about the placement or care of Aboriginal children. In light of the ACT government’s practice of excluding Aboriginal participation in child protection it is no surprise that the ACT has the highest rate of Aboriginal children in touch with the care and protection system in Australia and the third highest rate of removal of Aboriginal children from their families in Australia. An Aboriginal child in the ACT is 14 times more likely than a non-Aboriginal child to be in out-of-home care. Stunningly, despite these quite shameful outcomes the ACT has the lowest level of funding in Australia for intensive family support and the second lowest level of family support generally. Unsurprisingly, there are clear linkages between children who have been removed from their family by care and protection services and poverty, disadvantage and ultimately contact with the criminal justice system. The ABS report – “Prisoners in Australia 2018” – to the extent that it exposes and details the over-representation of Aboriginal men and women in prison in the ACT, confirms the depth of the failure of the ACT government and justice system to address either the causes of or appropriate response to Aboriginal offending. The headline finding in the ABS report is that the ACT has the highest ratio of Aboriginal people in jail in Australia. An Aboriginal person in Canberra is 17.5 times more likely than a non-Aboriginal person to be sent to prison. The next highest is WA with a ratio of 16 followed by the NT where the ratio is 12. The ACT also stands out as the jurisdiction with the highest increase in relative imprisonment of Aboriginal people between 2008 and 2018, with an increase over the 10 years of a massive 100 per cent. In that same period WA and SA reduced the relative imprisonment rate by 9 per cent and 1 per cent respectively. 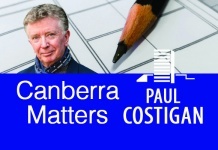 There is perhaps no single better illustration of the extent of inequality in Canberra than that the city with the highest median household income, the highest rates of home ownership and private health insurance, the fastest growing median house price and the highest mean income in the nation also has the highest rate of indigenous incarceration. There is a range of other data reported by the ABS that is as equally shocking as the raw rate of indigenous incarceration. For instance the rate of prior imprisonment (or recidivism rate) of Aboriginal prisoners currently in the AMC is a mind blowing 90 per cent, the highest in Australia. Of the 109 Aboriginal detainees in the AMC on June 30 a staggering 99 of them were recidivists. Equally alarming is the rate of increase in the ACT in the crude imprisonment rate of Aboriginal and Torres Strait Islander people. Between 2017 and 2018 the rate in the ACT increased by 12 per cent to produce an increase over the six-year period from 2012 to 2018 of 89 per cent against a national average of 24 per cent. By way of comparison the growth in incarceration, over the same six years, in the NT, WA and SA was 8 per cent, 15 per cent and 18 per cent respectively. 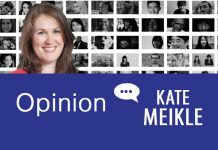 That the rate of increase in the incarceration of Aboriginal people in the ACT, over the last six years, is 65 per cent higher than the national average and that the rate of relative imprisonment has doubled in the last 10 years is deeply alarming and surely demands immediate and independent investigation and an urgent response. However, for that to occur there needs to be someone in government who actually cares. My fear is that the ACT government has sensed that the Canberra community doesn’t really care that much about the level of indigenous disadvantage and poverty in Canberra and has accordingly decided that there is no need for it to either. Jon Stanhope is employed as an adviser at Winnunga Nimmityjah Aboriginal Health and Community Service.